Escape the Desert with Sour Beer! Forbidden Desert + Paradox Beer Company = That's what we're talking about today. 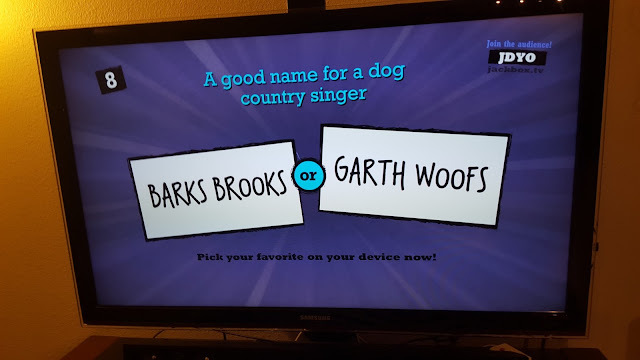 Sounds fun, right? We've played and won this game in small groups (2-3); however, last night we lost twice with our larger group of 5. If anyone runs out of water, they die, and the entire team loses. 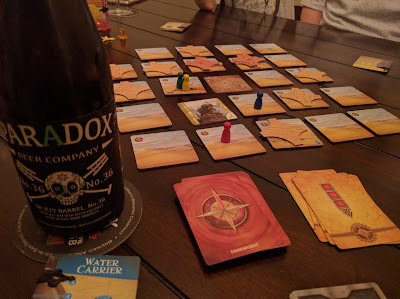 That's why it is critical to stay hydrated, which is why we paired the game with Skully Barrel #36 by Paradox Beer Company out of Colorado. Skully Barrel #36 is an American Wild Ale that is tropical and combines hints of citrus with toasted coconut and their white win barrel-aged sour gold ale. Wow! That's a pretty complex beer we're talking about. 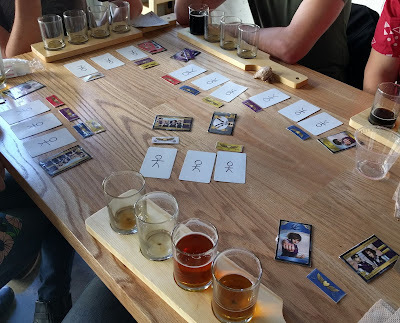 Although delicious, we found out that alcohol is not the best way to stay alive in the desert, and be sure to pack water if you ever venture to the forbidden one in this game! How does this game compare to Pandemic? 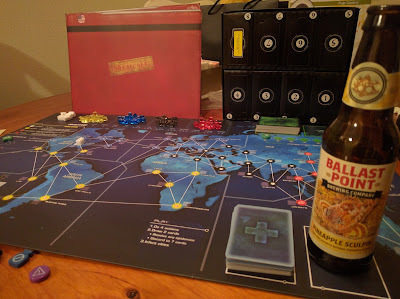 The game can accommodate one more player than Pandemic, so it's slightly better for lager groups. It's a little less complex than Pandemic, but more so than the first game from this designer, which is called Forbidden Island and is an excellent gateway game for non-gamers or anyone looking to get into the hobby. Overall, Pandemic is a better game, but this adds some nice diversity when taking a break from curing diseases.